If one party in divorce proceedings feels they need financial support from the other, even before a full financial claim is settled or the divorce decree obtained it is possible to make an application to the court for something called ‘Maintenance Pending Suit.’ As this is quite a complicated legal term I’ve dedicated this blog to explaining what it is and when it might be relevant. Maintenance Pending Suit is an application made to the court for financial support within divorce proceedings, usually for a payment to be made by one party to the other on a monthly basis, to meet the short to medium term income needs of the party and is designed as a ‘sticking plaster’, it is not a long term solution. The sole criteria in determining the application is reasonableness which, in essence, means fairness. Fairness is determined by taking into account the standard of living enjoyed during the marriage. The application will exclude any capital element or long term expenditure, which will be dealt with in the course of ongoing financial proceedings. A court, in the absence of clear evidence of one party’s financial position, will make robust assumptions about a party’s ability to pay. Where the person being asked to pay has previously been supported by a third party then the court is justified in assuming that third party’s support will continue. 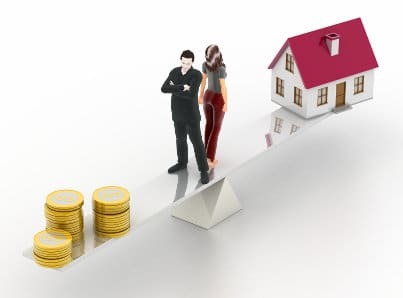 In reality an application is made to the court, very often by a wife, who finds herself in a position immediately after the parties have separated, needing some financial assistance from her husband, where he has refused to help. The application made to the court will take into account the wife’s current income and her reasonable monthly household expenses in the short term. The wife can also make a separate application to the court asking for an Order that the husband pays her legal costs. Those payments can be made on a monthly basis or, more commonly, by way of a lump sum payment. However, the party making such an application must demonstrate to the court that they have exhausted all other avenues of funding, for example through a litigation loan, via credit or other means. In this day and age people often rely on friends and family to assist them at a difficult time following separation. Any money that is borrowed in that way is often viewed by the court as a ‘soft’ loan and can be ignored when matters are finally concluded. Alternatively, if monies are borrowed by way of a credit card and the debt has been accrued as a result of the other party’s failure to provide adequate financial assistance, then the court should take that debt into account at the final conclusion of the case. The application should be brought bearing in mind that it can be the case that the legal costs involved in dealing with such an application may prohibit those steps being taken but it must be borne in mind that provided the person making the application has forewarned the other party and provided to them clear evidence of their need, then the court should also at the hearing make an award of costs against the other party. It is a balancing act and a decision has to be made whether or not it is cost effective to go ahead with an application but, where one party has been left in financial peril as a result of the other’s neglect, then it is often the only choice that remains. What is crucial is that sensible, clear legal advice has been provided by a family law specialist. Richard is a divorce and family solicitor with Woolley & Co based in Sutton Coldfield near Birmingham.